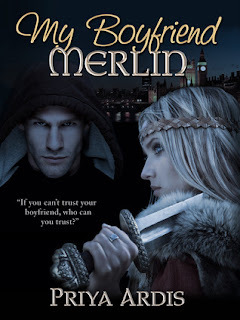 Book Summary: If you can’t trust your boyfriend, who can you trust? In this modern retelling of the Sword and the Stone, 17-year-old student president Arriane, aka Ryan, DuLac just found out her badass biker boyfriend, Matt, is a little older than he was letting on. By a few eons. In fact, he is really Merlin–the Merlin, King Arthur’s Merlin, the greatest wizard who ever lived. But Ryan’s not impressed. Tired of being a relationship loser, she’d rather kick his legendary behind. Sure, the world has been crazy ever since the sword and the stone fell out of the sky like a meteor. And Ryan’s a bit freaked about the scary shadow-dragon trying to burn her alive. And now, Matt–er, Merlin–needs her and her brother to leave home because they are Candidates to pull the sword. But despite gruesome gargoyles, a new world of magic, and the guy driving her crazy, Ryan knows that family is everything. Will Merlin sacrifice hers to save the world? Will she be able to stop him? Review: Ryan is just a normal 17 year old girl. She’s the student president in her high school. She lives with her friends Grey and Alexa and their mother Sylvia, because her mom died. One day during a boring lecture in her history class, the unthinkable happens. Another teacher interrupts the lecture with an announcement that “History is happening now!” The whole class goes into another classroom to find out just what is going on. A large rock has shown up, out of nowhere in Trafalgar Square, with King Arthur’s sword sticking out of it. This rock caused a “Total Tremor,” basically an earthquake that starts in the square and moves around the whole world. This is where things start to get pretty crazy for Ryan. She’s being taken home by her ex-boyfriend Matt on his bike, when out of nowhere a dragon attacks. Grey and Alexa are following and in the craziness Ryan is badly wounded and Alexa is killed. When Matt is able to heal her, Ryan knows that somethings up with him, and she learns that he is a powerful magician, Merlin to be exact. But does he care for her? Or does he just want to use her to get the sword? I enjoyed the story line of this book. I thought the characters were awesome, and there was tons of action all through the book to keep you hooked. I liked Ryan especially, she starts out as kind of a person that can be easily pushed around and by the end of the book she’s a strong, courageous young woman who knows what she wants out of life. 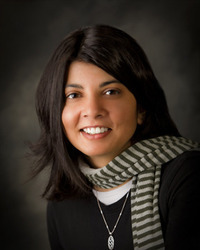 About the author: Storygirl, Priya Ardis, loves books of all kinds—but especially the gooey ones that make your nose leak and let your latte go cold. Her young adult novel, My Boyfriend Merlin, came from a childhood of playing too much She-Ra and watching too much Spock. She started her first book at sixteen, writing in long notebooks on train rides in India. While reading My Boyfriend Merlin, she recommends pajamas first and a pumpkin spice anything for taste. As a hopeless romantic, she’s also a longtime member of RWA.